Israel returns vessels confiscated after straying from fishing zone, as Palestinian fishing union chief urges release of dozens more. Fifteen fishing vessels belonging to Gaza Strip residents were returned on Wednesday from Israel to Gaza. The boats were seized by the IDF after their owners veered from the maritime area approved for fishing. The decision was made by the Coordinator of Government Activity in the Territories in conjunction with the Gaza fishermen's association. 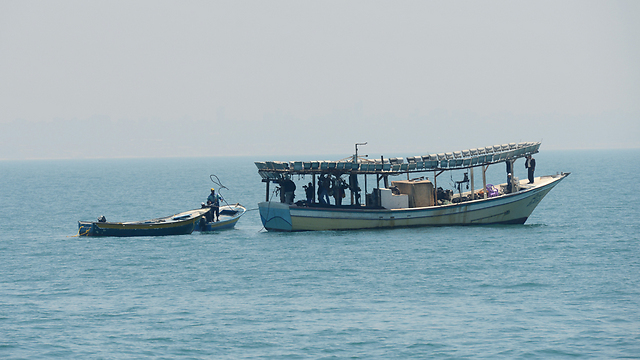 The boats were returned by Israeli naval troops to the north Gaza Strip. After Operation Protective Edge, the area approved for Gaza fishermen was returned to six nautical miles. Since the summer conflict, several incidents have occurred in which naval troops fired warning shots at fishermen who strayed from the approved zone or approached Israeli territory. The IDF said the decision was made following "a thorough examination of the matter by the IDF and as part of the steps taken to assist the residents of the Gaza Strip." Military sources added that "in the maritime area adjacent to the Gaza Strip there is a zone that is approved for fishing. "The security limitations are periodically examined and are determined by the necessity of IDF presence, while considering the level of damage to the civilian population. "The IDF sees the fishing industry as very important, as it is one of the foremost industries in Gaza, and considers this in relation to the security threat." Palestinian fishing union chief Nizar Ayyash told AFP the return of 15 boats was welcome but demanded that Israel hand back dozens more vessels still in its possession. "It is true this is the first time Israel has returned fishing boats... but its forces fire at fishermen before they've even exceeded the imposed limit, especially off southern Gaza," he said. "There are still 60 boats held by the Israeli navy, and we demand Israel return them," he added. Last month, Israeli forces shot dead a fisherman and arrested two others, according to Gaza medics. An Israeli army spokeswoman said at the time four Palestinian boats had strayed out of their designated fishing zone, but did not comment on casualties. Around 4,000 fishermen work in Gaza, more than half of whom live below the poverty line. The Israeli Occupation Forces (IOF) have threatened Wednesday to demolish Palestinian-owned water wells in Yatta town to the south of al-Khalil. 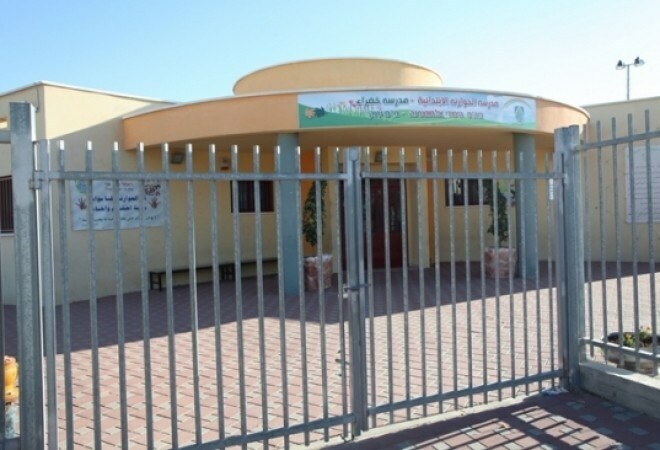 Local activist Ratib Rajoub affirmed that the Israeli Civil Administration handed over Mohamed family notification to demolish water wells located in the family’s agricultural land. The wells were earlier established by the Palestinian local authorities due to the acute water crisis witnessed in the area, he added. Haaretz Hebrew newspaper disclosed on Wednesday that the Israeli attorney general Yehuda Weinstein refused the Arab MKs’ demand to freeze the orders of house demolitions against thousands of Arab homes. Weinstein along with the general prosecutor met with representatives from the Joint Arab List, two weeks ago, to discuss the issue of house demolitions. 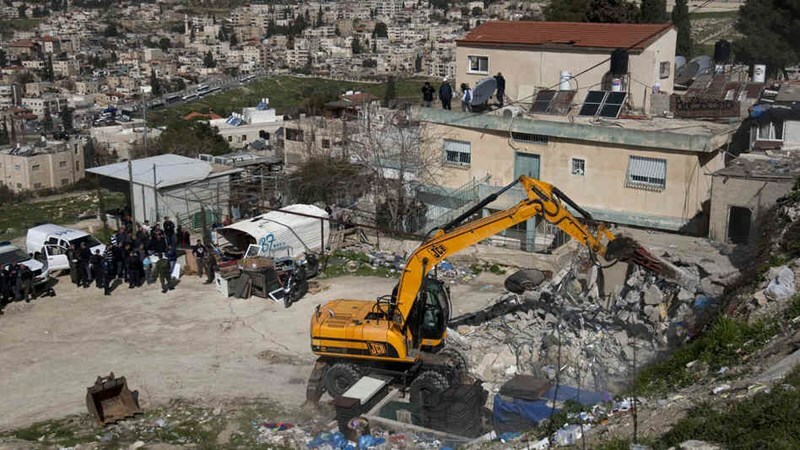 The MKs demanded that the government freeze all demolitions of Arab houses until a joint team of local authorities and professionals is formed to study other solutions to the crisis of Arab housing. The newspaper revealed that Weinstein refused the MK’s demands, claiming that “all government actions must be carried out fairly and without regard to race”. He also refused to form a team to examine the case under the claim that the government formed a crew, one month ago, to come up with a plan to solve the problem”. The Arab MKs were disappointed by the unjust decision. Meanwhile, the Israeli forces razed a stockade in Roujib town to the east of Nablus city at dawn Wednesday. Local sources told the PIC reporter that the Israeli forces escorted by a military bulldozer stormed the town and razed a stockade which belongs to a Palestinian man, claiming lack of building permit. The sources revealed that the structure was located in the southern outskirts of the town. Its area was estimated at 270 square meters. The demolition of the structure was performed shortly after handing a demolition notice to the owner. This has already deprived the Palestinian owner of his right to appeal against the demolition order. Extremist Jewish groups of settlers uprooted fruitful trees in Housan town in Bethlehem in the late evening hours on Tuesday. 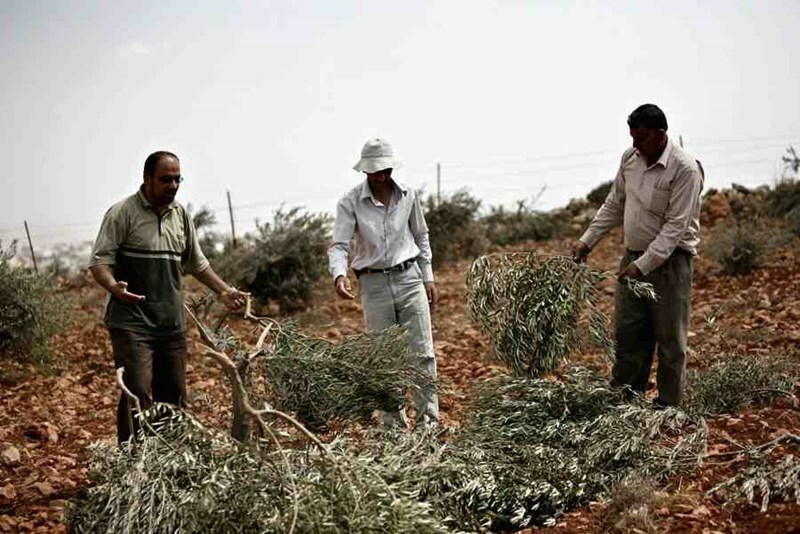 Member of Housan town’s council Taha Hamamrah told Quds Press that the Jewish settlers coming from Beitar Illit settlement uprooted more than 20 olive and citrus fruitful trees which belong to two Palestinian families. The trees are implanted in a land lot located inside the wall of the Israeli Beitar Illit outpost which was established by force on the town’s land, Hamamrah said. The two Palestinian families own dozens of dunums inside the settlement. The settlers continuously destroy their plantings. Besides, the Israeli forces prevent the Palestinian owners from approaching their lands unless there is coordination with the Palestinian Authority Liaison Office for the issuance of Israeli permits. The extremist Jewish settlers continue their aggressive practices of damaging lands and uprooting trees in the occupied West Bank under the protection of Israeli forces. 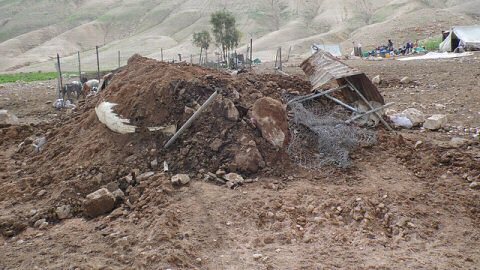 Israeli forces, on Wednesday, demolished a Palestinian-owned structure used for raising livestock in Rujeib village, to the south of Nablus, according to a local activist. Ghassan Daghlas, who monitors the construction of Israeli settler units in northern West Bank, said that large Israeli forces, accompanied by a bulldozer, cordoned off the structure belonging to ‘Ala Riad and proceeded to demolish it. WAFA Palestinian News & Info Agency reports that data from the Rujeib village profile prepared by the Applied Institute of Jerusalem indicate that the village occupied a total area of about 4,918 dunams, including 1,449 of arable land and 438 within residential area. The village is famous for the cultivation of olive trees, cereals, especially wheat. The economy of the village is mainly dependent on the agricultural sector, which absorbs 40% of the total workforce. About half of the villagers also rear livestock, like cows and sheep among others. Following the 1993 Oslo Accords, the village was divided into Area B and Area C, constituting 28% and 72% respectively of the total village area. The villagers, who are concentrated in Area B, are prohibited from building and managing their lands in Area C unless they are authorized by Israeli authorities. Israel has seized hundreds of dunams belonging to the villagers for the construction of settlements, military bases and by-pass roads. A total of 169 dunams has been seized for the construction of ‘Itamar’ settlement, located on the south-eastern side of the village. Founded in 1984 and containing approximately 3,564 Israeli settlers, ‘Itamar’ occupies an area of approximately 1,181 dunams. It is also partially built on the territory of the neighboring villages of ‘Awarta, Beit Furik, and Yanun neighboring villages. Israeli authorities have also seized 3,000 dunams from Rujeib, ‘Awarta, Beit Furik, Yanun and Aqraba village lands for ‘Itamar’ settlement and the adjacent settlement outposts in order to create a barrier between the Palestinian villages and this settlement. Most of these isolated lands are agricultural and an important source of income for the residents of the aforementioned Palestinian villages. Israel has seized more tracts of land to the south and east of Rujeib for the construction of a new Israeli bypass road linking which links between Huwwara checkpoint and “Elon Moreh” settlement. The length of this road extends approximately 2km onto the village territory of Rujeib, and separates it from Beit Furik neighboring village, that I located near the village on the east. 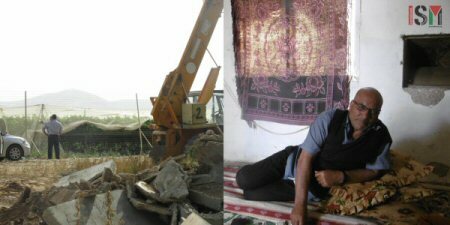 Yesterday morning (27th of April 2015) at 5 am, in the area of al Makhrouk, al Jiftlik, the Israeli military arrived with bulldozers and demolished four houses belonging to Fathe Abdullah Ahmad, Tareeq, Yakub, Mohammed and Mahmoud Lahafe Dadoub. The houses were located right next to the agricultural settlements of Masu’a and Argaman. 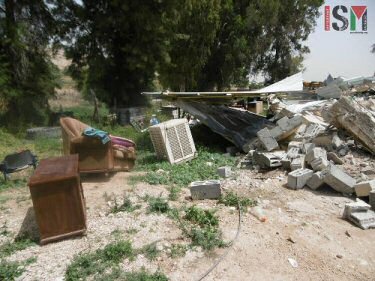 Israeli forces demolished a Palestinian-owned home in the Ramallah-area village of Nabi Saleh, Tuesday morning. The Palestinian News and Info Agency reports that the home, built prior to Israel's 1967 occupation of the West Bank, was owned by Mohammad Mahmoud Tamimi, an American-Palestinian who lives abroad. Last month Israel's Civil Administration issued a demolition order for Tamimi's home, in addition to another twelve privately-owned Palestinian homes in Nabi Saleh. The Palestinians in 1948 Occupied Palestine have been on general strike since the morning hours on Tuesday protesting the Israeli government policy of the demolition of Palestinians’ houses. 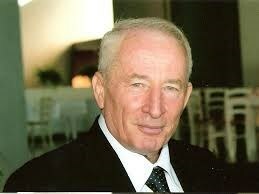 This followed a decision made by the higher follow up committee for Arabs in 1948 Occupied Palestine. The strike includes educational institutions and commercial shops. The Israeli radio announced that the Palestinians are going to take to the streets in Tel Aviv at 5 p.m. in the first national demonstration of its kind. Such marches were previously arranged in cities and towns inhabited by Arabs only. The Israeli authorities adopt displacement campaigns aiming at expelling the Palestinians in 1948 Occupied Palestine through demolishing their houses under false pretenses. The Israeli Occupation Forces stormed at dawn Tuesday Nablus and Balata refugee camp to the east of the city. A number of military vehicles broke into the city and deployed in different neighborhoods and streets which led to the outbreak of violent clashes. Teargas grenades and sound bombs were heavily fired during the clashes, while local youths, in response, stoned the storming forces. The Israeli forces also broke into Balata refugee camp, while no arrests were carried out. A tight security cordon was earlier imposed around the city of Nablus, while a curfew was declared in Hawara town after a settler was injured when his car was hit with a Molotov cocktail. Meanwhile, a fire sparked by an Israeli military drill swept across thousands of dunums of Palestinian farmland in the northern Jordan valley in Tubas on Monday. Thousands of dunums of farmland in the Humsa area of eastern Tubas district were affected by the fire after Israeli forces opened fire during a military exercise. Civil defense crews arrived from Qalqiliya and Nablus to fight the fire but were prevented from reaching the area as Israel had declared it a closed military zone. Some 3,000 to 4,000 dunams of farmland in the Humsa area of eastern Tubas district were affected by the fire after Israeli forces opened fire during a military exercise, according to Ma'an News Agency. The district of Tubas is one of the occupied West Bank's most important agricultural centers, and the civil defense said that the land had been planted with wheat and barley. Tubas Governor Rabih al-Khandaqji condemned Israeli "violations" in the area, deliberately aimed at "displacing people from their lands and deliberately inflicting grave losses to their resources". Civil defense crews arrived from Qalqiliya and Nablus to fight the fire, but were prevented from reaching the area, as Israel has declared it a closed military zone. 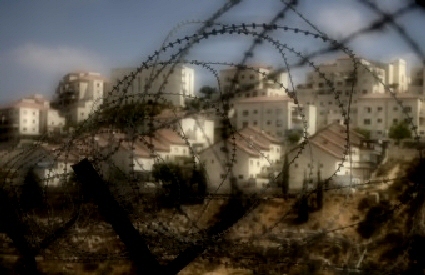 According to the Applied Research Institute of Jerusalem, more than 15,000 dunams of land in the Tubas district have been confiscated by Israel for military bases with a further 8,000 dunams seized for illegal Israeli settlements. Israeli soldiers demolished, on Tuesday at dawn, a Palestinian home in Nabi Saleh village, west of the central West Bank city of Ramallah. 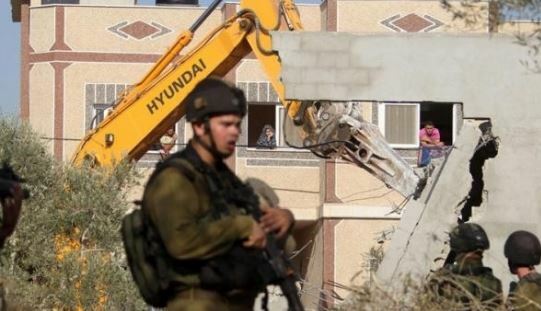 The Media Office of the Popular Resistance Committee in Nabi Saleh said several military vehicles invaded the village, after surrounding it, and demolished a home belonging to resident Mohammad Mahmoud Tamimi. The home is located near the main entrance of the village; the soldiers also fired rounds of live ammunition and gas bombs at a number of homes. It was built before Israel illegally occupied the West Bank in 1967; the owner is a displaced Palestinian who holds an American citizenship. The Israeli Occupation Forces (IOF) stormed at dawn Tuesday Nabi Saleh town in northwest Ramallah and razed a Palestinian house. The popular resistance movement said, in a statement, that Israeli bulldozers escorted by ten military vehicles raided the town in the early morning hours and razed the house. 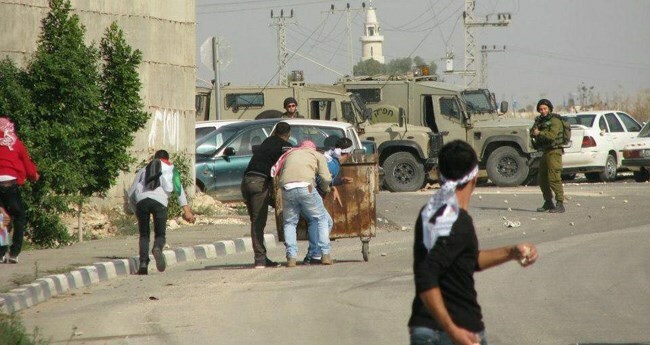 This resulted in clashes with the IOF soldiers who fired live bullets and tear gas at the town’s youths and homes. Local sources said the house demolished was known as “The Red Home”. It was built before 1967 and belongs to Mohammad al-Tamimi who left the town in 1967 when Israel occupied Palestinian territories. The sources pointed out that the house is one of the thirteen homes which Israel had noticed for confiscation in Nabi Saleh town.